birthplace of California is especially known for one asset, its mild climate year-round. Tourism is a major industry here, but this city is also home to a large active naval fleet, which one cannot help to notice as a traveler. While concentrating this time more on general sights, we put a focus more on family things on our last trip as traveling with a small child. 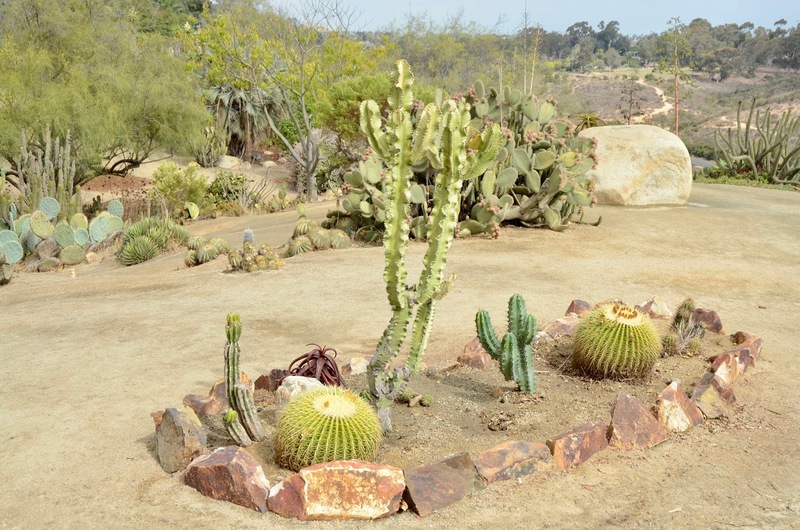 This included the San Diego Zoo Safari Park and SeaWorld, both worthwhile doing activities when being on family vacation. 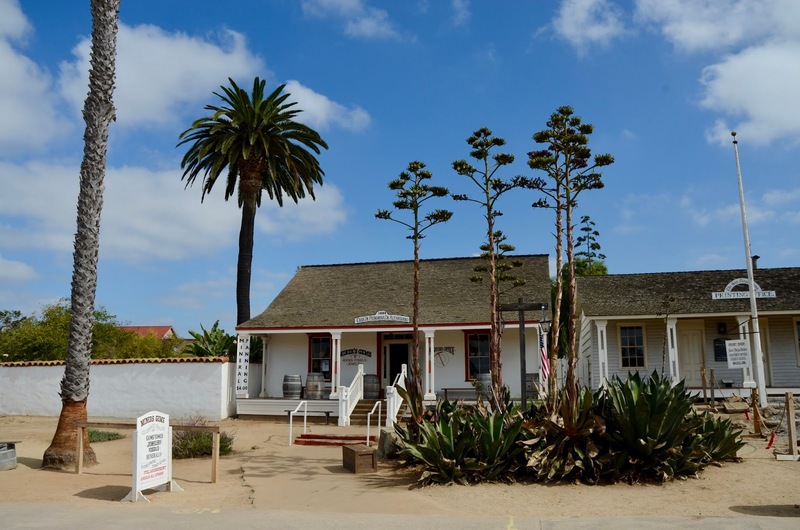 On our current trip, we followed the tracks of the early settlers and went first to Old Town San Diego State Historic Park. 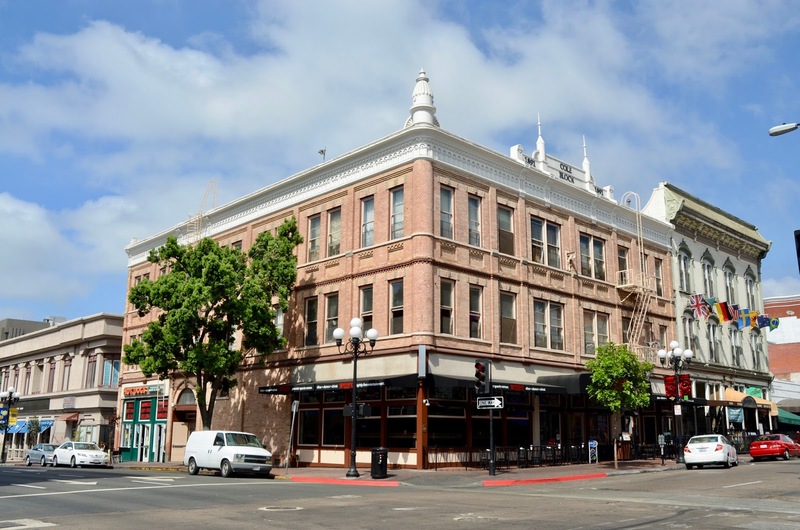 You find here many preserved historic buildings of San Diego’s early days from 1820 to 1870 reflecting the Spanish and Mexican heritage but also lots of tourist restaurants and shops. So, after strolling along the rows of houses, we went on to the next site of importance, the New Town. Today, this Bayfront location is also the site of entertainment and night life venues. 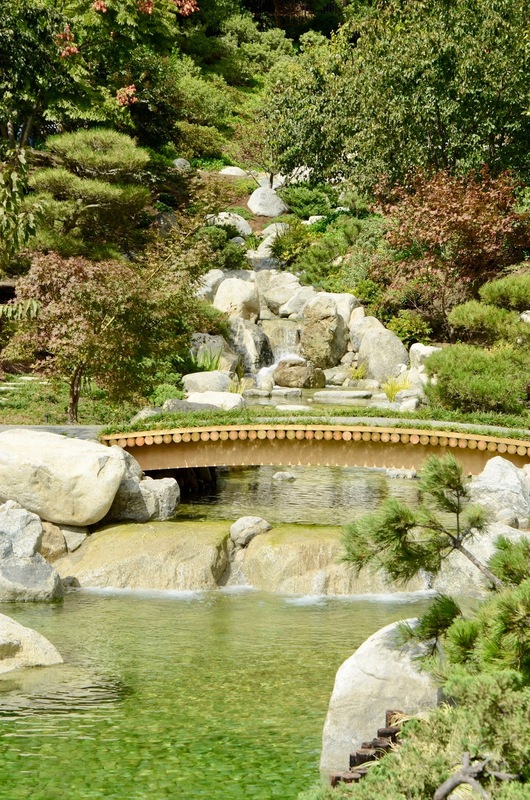 including the beautiful Japanese Friendship Garden. 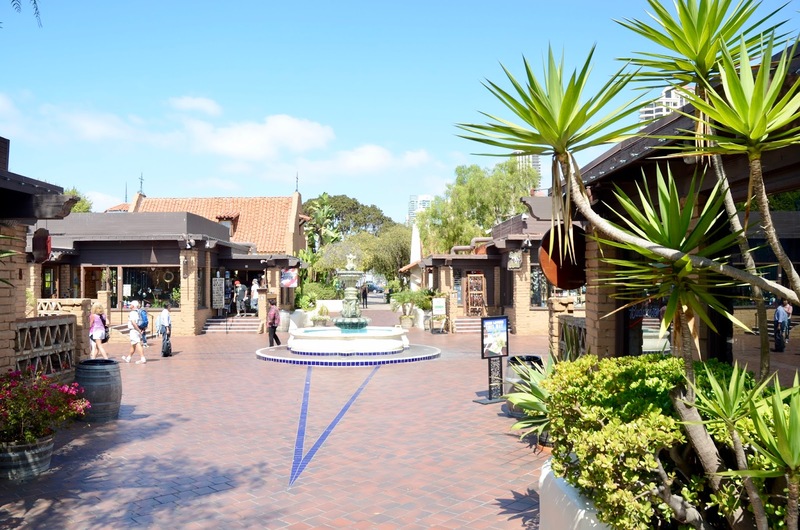 A nice place to spend some time is Seaport Village, a waterfront shopping and dining complex adjacent to the San Diego Bay in Downtown. 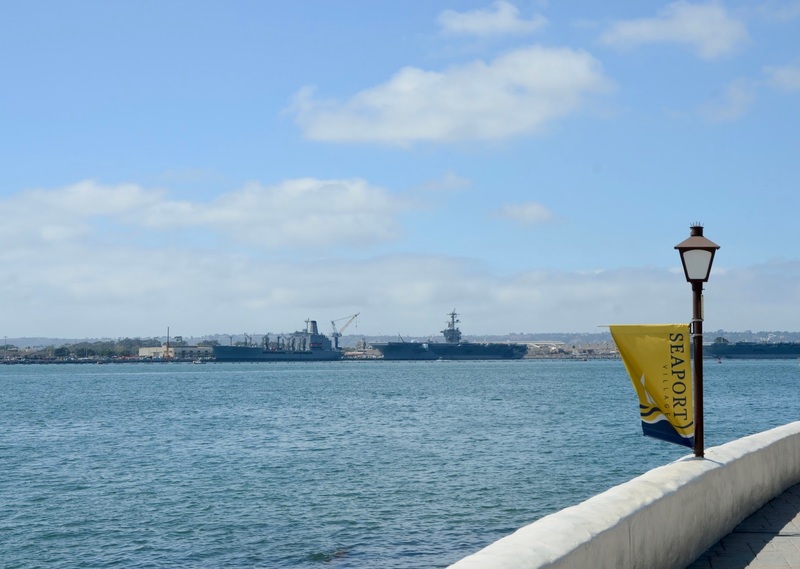 From here you can catch a glimpse of the naval fleet stationed here in San Diego. with a little beach for sunbathing and swimming. 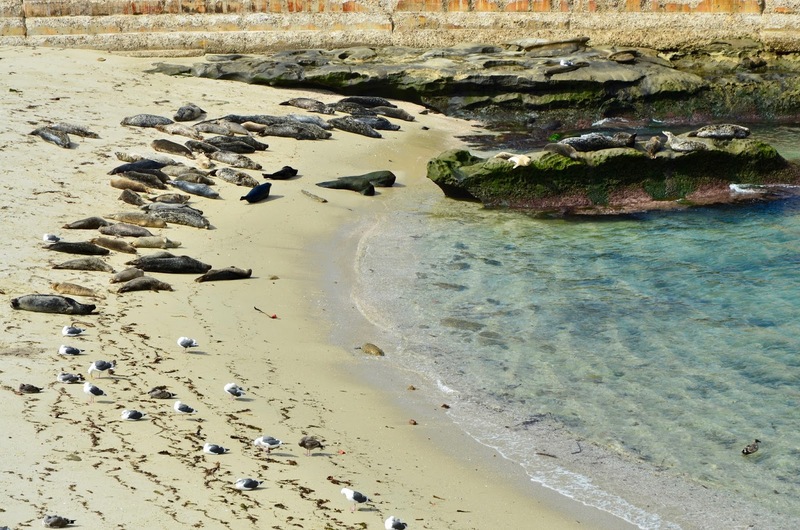 There is also a walkway along the coast towards Children’s Pool offering great opportunities for viewing the sea and wildlife such as the La Jolla seal. When staying in a city boasting 70 miles (113 kilometers) of coastline, I think that a beach front location is a must. Unfortunately, the choice of such lodging for discerning travelers is not that abundant in San Diego. 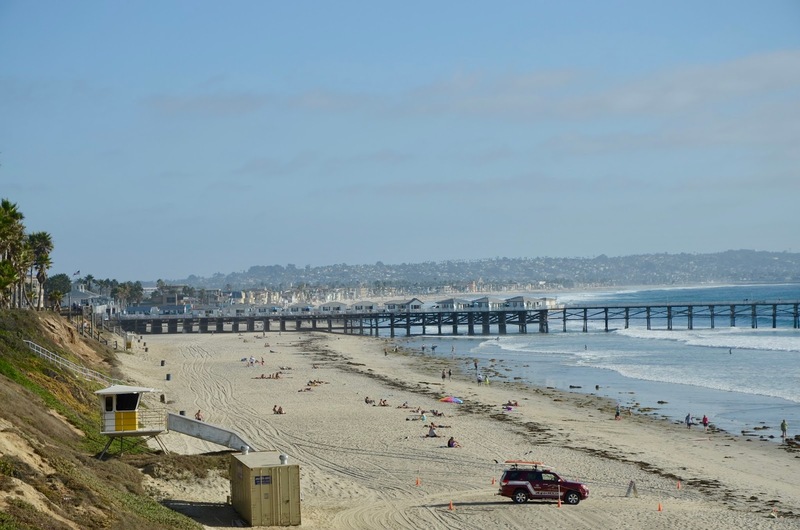 One recommended place to stay is Coronado, a resort city across the San Diego Bay from downtown San Diego. 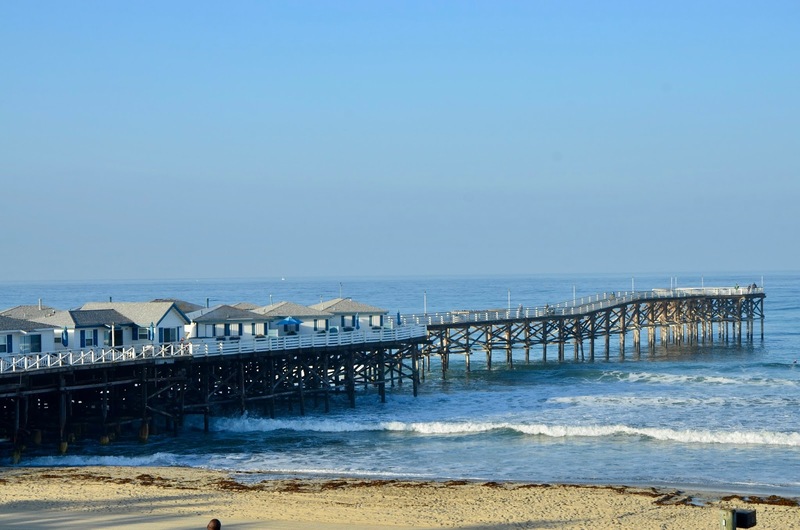 It is home to 3 major resorts, the famous but unfortunately a bit run-down Hotel Del Coronado, the Coronado Island Marriott and the Loews Coronado Bay Resort. The latter was our choice when we were in town when we had a small child (quite a long time ago), but my research on TripAdvisor shows that it is still a good option when seeking an upscale hotel in a quiet location that is not too far away from Downtown San Diego (ranks number one in 4-star segment). 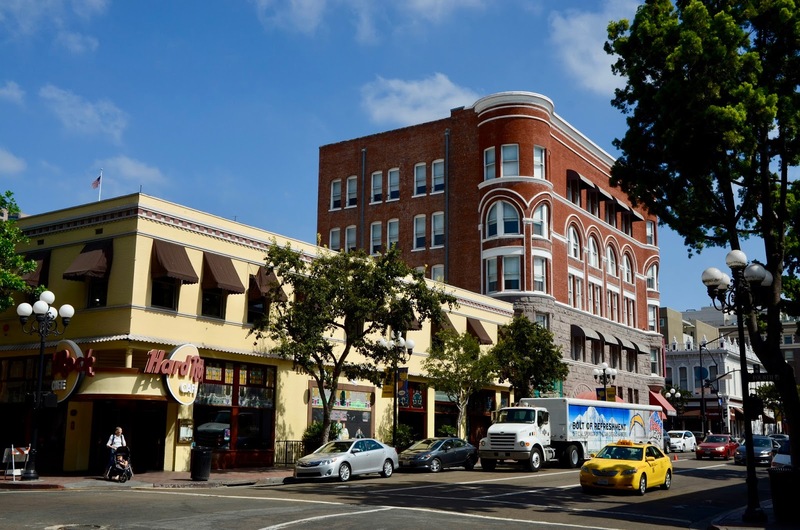 Besides, Coronado has its own downtown district along Orange Avenue with good dining and shopping opportunities. but only because of one luxury hotel, the Tower23. This sleek, minimalist place is a great choice when being into modern lodging. My husband and I are such travelers and opted for it on our last visit to San Diego. Unfortunately, the area cannot quite keep up with the hotel, as this neighborhood is known for being one of the main centers of nightlife in town, and this especially for a younger crowd. Having said this, a nice thing to do is strolling along the Ocean Front Walk, running about 3.2 miles (5 kilometers) along the beach to the Mission Bay, which is almost always very busy. 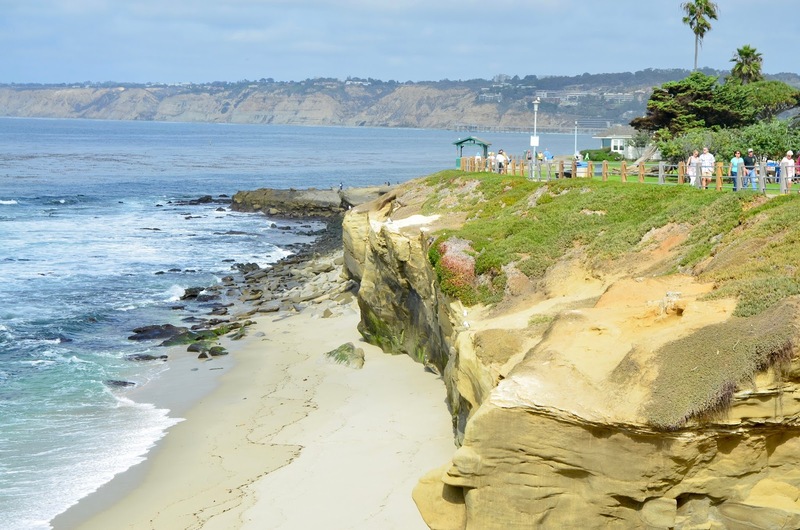 A community, which pleases travelers in style, is the neighboring la Jolla, already mentioned in the previous section. It is a beautiful seaside village popular as domicile for affluent people. Hotels can be found here, although none catering for expensive taste and being on the beach at the same time. 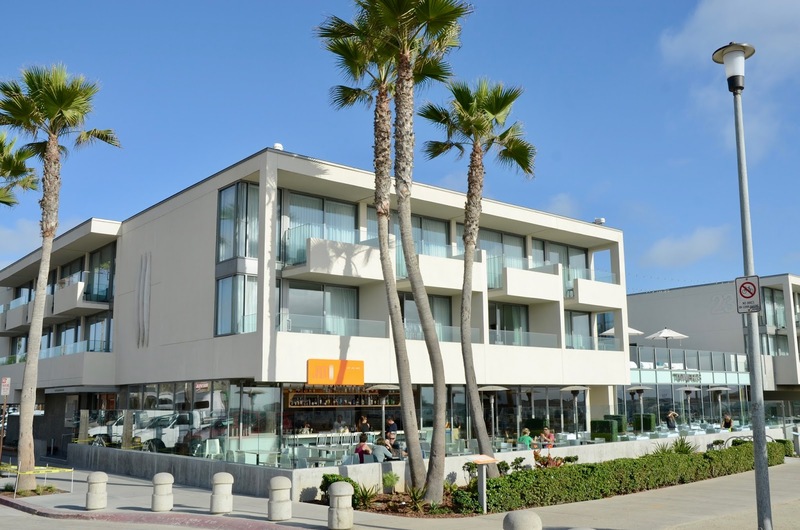 As mentioned before, we stayed at Tower23 hotel in Pacific Beach on our last trip and therefore dined in the area. Although being foodies, we were not willing to drive around the city in search of best dining-spots and instead settled on the local dining scene. However, this was not an easy task as this community is rather geared towards younger folks looking for a quick bite, so fine dining opportunities are scarce. Nonetheless, there are some finds. The nearest to Tower23 hotel and attached to it is JRDN Surf – Sky – Spirit restaurant, a high-end dining with a fancy ocean view. Modern Californian food is on offer here, well prepared and nicely arranged, in a casual yet sophisticated ambiance. Another recommended dining-spot is The Fishery, located a few blocks from the ocean in North Pacific Beach. This is the place to indulge in great seafood as it is not only a restaurant but there is also a warehouse with freshest fish behind it. The atmosphere is pleasant, and the chef knows how to prepare seafood in an interesting way. A good place for breakfast and probably lunch as well (we only had breakfast here twice) is Isabel’s Cantina, which serves Latin-Asian fusion dishes in a very casual ambiance in some sort of a converted garage. Staff is easy-going yet welcoming, and there are also healthy options available. 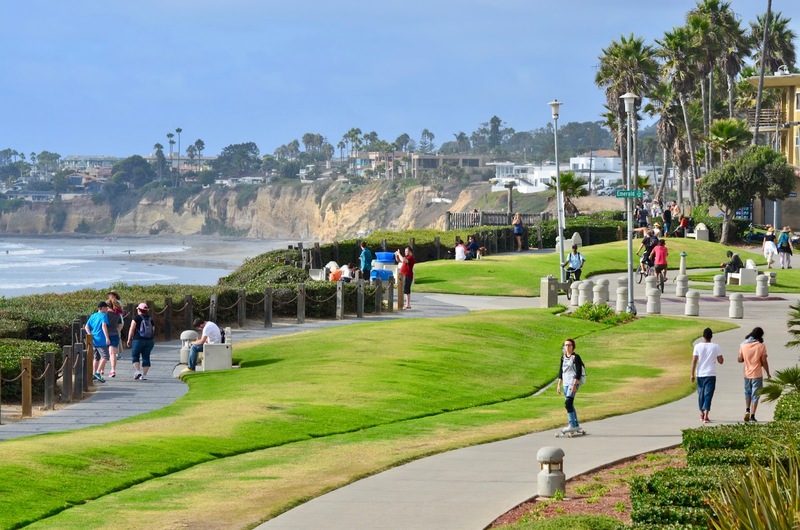 San Diego is a large city but not as busy as other metropolises of its size. It is somewhat relaxed, easy-going, maybe because of its ideal climate or its proximity to Mexico. Be it as it may, it is worthwhile visiting, although it is not exactly a heaven for travelers looking for luxury hotels on the beach and a vibrant foodie’s scene. Despite this, you are not at a complete loss when having expensive tastes. 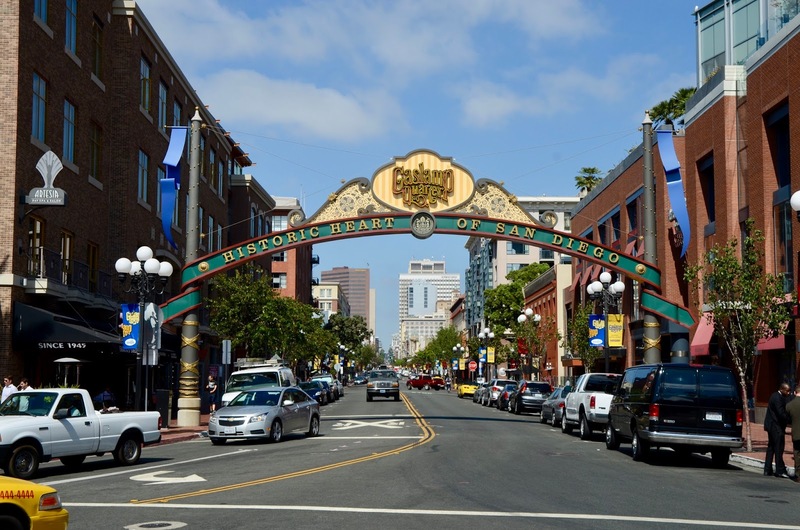 When being in town, do not miss the historic Gaslamp Quarter in Downtown with its restored buildings, the Balboa Park with its variety of gardens and cultural establishments as well as the upscale coastal community of La Jolla with its pleasant ambiance and its scenic coastline.